Thank you Amanda for sharing, I briefly reviewed the list of “fires that do happen” in data centers as happened in the last 11 months, I would like to thank you for sharing this data and would like to bring up some trending questions based on your results as well as any specifics you can share on the specific items listed below. I was surprised at the event where a TVSS actually caught fire, I have personally installed many of these devices on the line side input to large UPS systems. I have never witnessed in 20+ years, anything happen with these units other than a blown fuse or light bulb go out, causing an arch or something less critical to be called a fire in a data center. I would be interested in knowing more about what type it was and how it was installed if possible. As far as the vesda activating the fire suppression release, I am a little concerned with this as my primary use/designs for the Vesda installations was only for early detection, not for dumping the gas or fire suppression. Does this property you referred to have a cross zone detection system with the vesda? Do you know if the insurance provider for the property had any recourse or issues with this discharge? There was one event my teams experienced inside a dc, where the Vesda systems or sensors were located inside the return air plenum of a CRAC unit, located in a separate room but nearest to this sans unit located on the raised floor area, /DC, where, as designed, the Vesda unit detected a small amount of smoke coming out of a newer SAN storage unit, where the smoke was minimal, caused by a robotic arm inside the unit, that got bound while pulling and moving the small tapes around and the DC motor shorted inside the unit. The cameras inside the unit, enabled tracking, but never did it cause a fire, just a puff of smoke, the unit was manually shut down, only as a precaution and powered down as a separate unit and did not affect the entire suppression system, only alerting the internal engineers and security/IT staff to the issue and thus what seemed to be a large issue, was picked up as early warning by the vesda and did give the appropriate notifications. My initial concern of automatic discharge? I would like to know if the properties insurance company paid for the massive dump and refill and testing/cleaning and business loss to the company? Some insurance companies and clients prefer that there is early detection only, i.e. Vesda, and no automatic shutdowns, other than the manually operated EPO system to disconnect power to the DC in the event that the Fire Department decided to pull it, especially if no one else was around. The trend has or was that no EPO’s were required in many regions with exception of the telecommunications rooms. And certainly, I have never experienced an installation where early smoke detection by Vesda actually shut down or dumped the gas! I would like to know how many of these installations are becoming more of the standard than the exceptions? I worked with the old Halon installations back in 1988 and even then, the cross zoning of not only the smoke detectors were required, but an actual heat detector on A-zone, crossed with a smoke on zone B, was also required to dump all that gas and automatically dump the power to the entire room, which never happened. 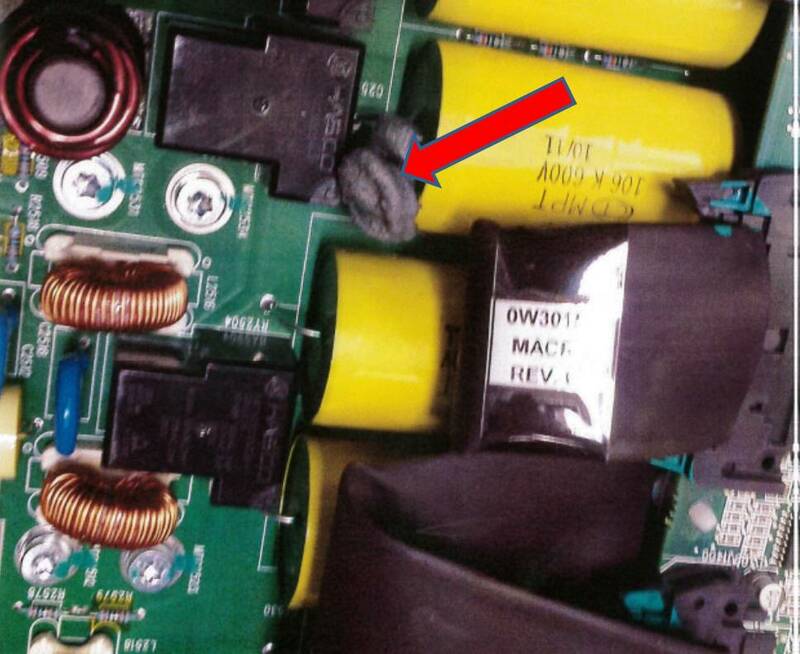 As far as the capacitor picture, it looks like to me that the fire was very small and more like a temporary short on a small cap, which again, normally puts out a puff of smoke and depending on the UPS, can keep running and not even go to bypass or ended up going to bypass as a result of the short, regardless, I have witnessed large plumes of smoke coming out of a liebert series 600- 400 KVA unit where the choke transformer was melting and dripping onto the bottom of the unit while it was still running and blower/cooling fans sucking out huge amounts of smoke from the unit, only to be shut down manually as it was one of three units that were located in a UPS room, in parallel N+1 design. totally separate from the DC. In this case, the pre-action system protecting the UPS equipment, did not even discharge or more importantly fill the pipes, with that amount of smoke. 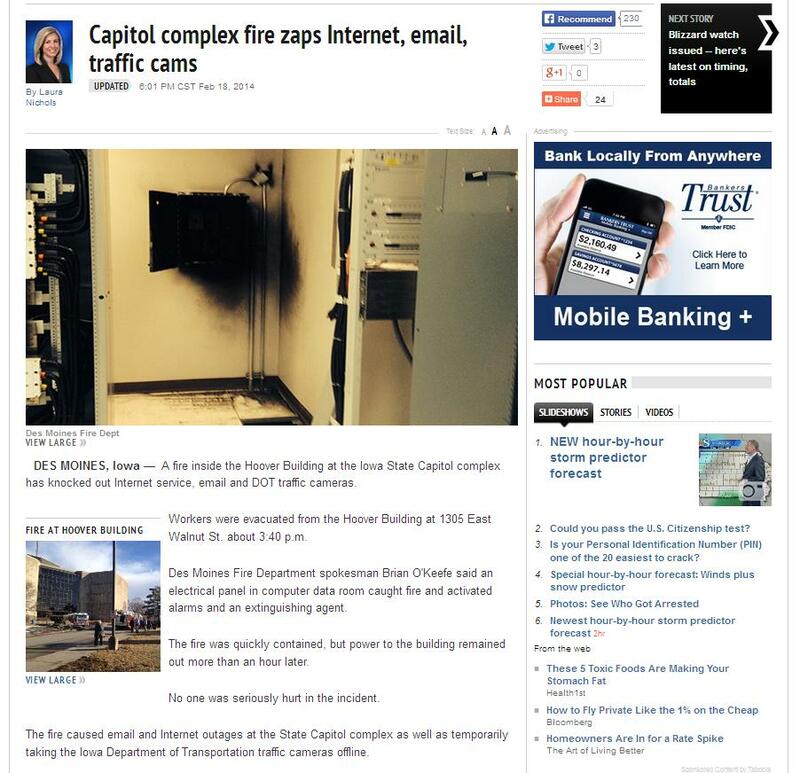 So, begs the question, was it a temporary flash that filled the room with smoke or just a small cap that set off the system? I do not expect you to have the answers to these questions, however, from my experience, for what it’s worth, I have never had a fire inside a DC or MOC that auto dumped or discharged the gas as a result of early detection ie. Vesda, which is a great product. However, as stated above, I’m curious if the new trend you’re seeing is more of the play it safe and let the system do it’s job regardless of the loss and exposure?. Or is the trend that you see, which still continues in today in many areas of property management and MEP system operations, where the human element is typically the culprit to discharge and or dumping the power to the rooms.? I appreciate any additional feedback from the group with similar situations or experiences. Thanks again for sharing Amanda.